Most people assume that the driver of a motor vehicle is automatically at fault in a collision with a pedestrian. While negligence on the driver’s part is a cause of many pedestrian accidents, this is not true in all cases. In some situations, the pedestrian is partly at fault — or completely at fault — for the accident. Fault is determined once the situation is evaluated and the evidence is presented. If, for example, the pedestrian was jaywalking and the driver was making an improper turn, both of them may share fault for the accident. If the motor vehicle driver is wholly at fault for the accident, the pedestrian may be able to bring forward a claim for compensation against their insurance company. However, compensation is limited if the pedestrian is partly at fault. It’s possible that the pedestrian will incur out of pocket expenses. It is difficult for a driver to recover damages when a pedestrian is wholly at fault for the accident, since the pedestrian isn’t covered by any type of insurance while walking. 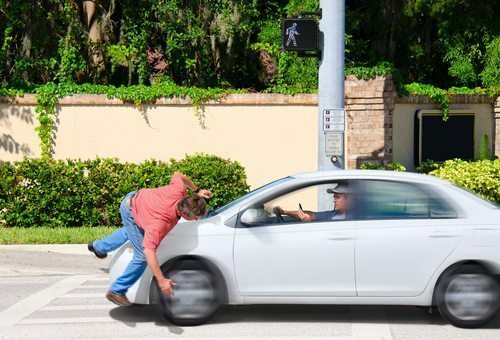 If you suffered an injury in a pedestrian accident — whether you were the pedestrian or the driver — consult with an experienced car accident lawyer as soon as possible. Contact Appalachian Injury Law today to learn about your rights and how a claim can help you pay the bills associated with devastating accidents. Call now for a consultation at (706) 515-1995.